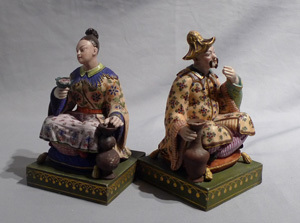 Antique French chinnoiserie pair or porcelain seated figures. 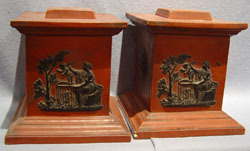 Pair of Derby English porcelain plaques painted by Wm Hancock in fine gilded frames. 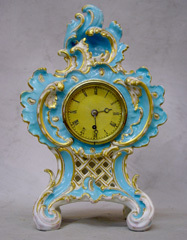 Antique English Coalbrookdale porcelain cased Vulliamy mantel clock.